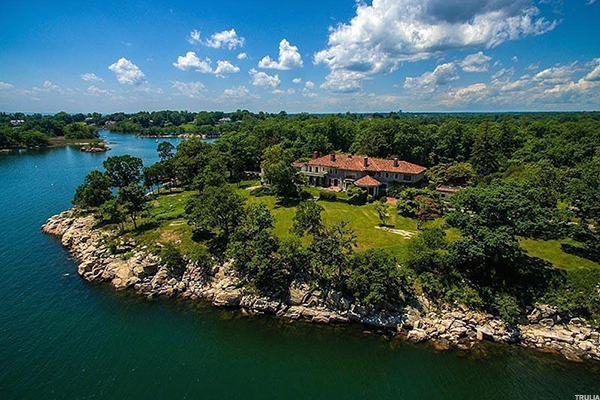 An 86-acre island with a six-bedroom, nearly 12,000 square foot home in Maine is currently on the market, according to ABC News. But hey, these other pads aren't too shabby either. From the days when Cornelius Vanderbilt built The Breakers in Newport, Rhode Island to Donald Trump's conversion of Mar-a-Lago into a private residence for his family, Americans have been obsessed with mansions. The housing market has continued to rebound significantly throughout the country, especially benefiting the high-end, as stock markets hit record highs. In an April 2017 Redfin report, home sales rose 9% year-over-year as of March 2017. The average price continued to rise, up 7.5% year-over-year to $273,000. This comes as more people are looking for homes, be it first-time buyers or families looking to move into larger dwellings. Even though the American dream has come roaring back, $273,000 is still a far cry from the multi-million dollar mansions spread out across the country. From California to New York to Texas, some of the country's most expensive homes for sale scream opulence and decadence. Courtesy of real-estate listing service Trulia, TheStreet has compiled a list of the 15 most expensive across the country. 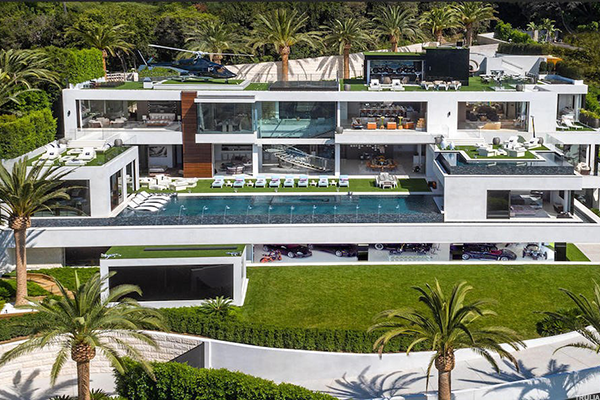 This $250 million house in the luxury section of Los Angeles, Bel Air, is the most expensive house in the country. It features 21 bathrooms, 12 bedrooms and comes with its own massage studio and wellness spa. The home also has a "state-of-the-art fitness center, 85-foot glass tile infinity swimming pool, 40-seat 4K Dolby Atmos Theater, 4 lane bowling alley/lounge" and an "auto gallery [with] cars worth more than $30 million." It was built in 2016. When a home has a name, you know it's going to be expensive. 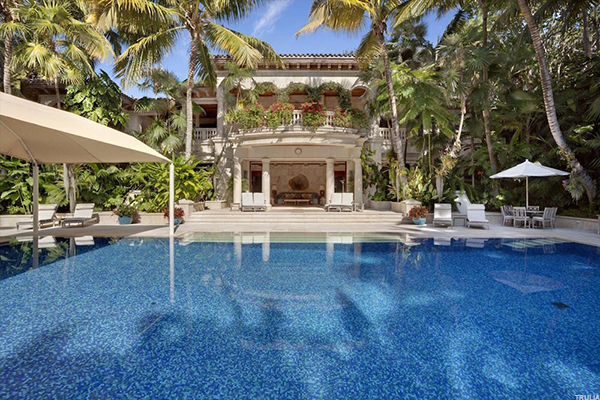 Known as Gemini, this $165 million mansion (down from $195 million) has 10 bathrooms and 12 bedrooms. It's also gigantic at just over 62,000 square feet. It sits on 15 acres of waterfront property, the description says "it is the only home on the ocean beach for miles." Along with the other houses on the compound, including guest quarters and a place for staff, there are more than 30 bedrooms in total. It also contains "a series of formal and informal living and dining areas, a media room, libraries, offices, numerous terraces, an expansive wine cellar and two elevators. For the active family, it also has a swimming pool, PGA standard golf area, regulation tennis court, half basketball court and fitness center/spa. 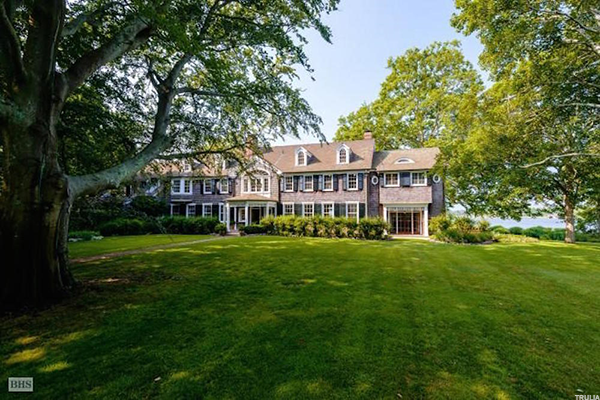 Connecticut is home to some of the world's wealthiest people and this $175 million mansion is a shining example of that. It sits on 62.47 acres and is essentially your own island. The property has a horse farm, to go along with its nine bathrooms and ten bedrooms. Built in 1902, it has beautiful waterfront views, multiple living quarters and a dock for boats. New York's Hamptons is where some of the world's elite spend their summers. With residences that cost $140 million, you can see why. This estate sits on 11.2 acres on exclusive Georgica Pond, letting its owner do all sorts of water activities, like sailing, kayaking, paddle boarding and more. The main residence, known as "Shepard Krech House," was built in 1931 and renovated in 1990. It has 10,300 square feet and has six bedrooms in its three-story building. It also has a sunken library, gourmet kitchen and a third-story gym. The second residence has many of the same amenities as the main house. There are also features on the grounds like a 60-ft. swimming pool, hot tub, secluded tennis court and four-car garage. 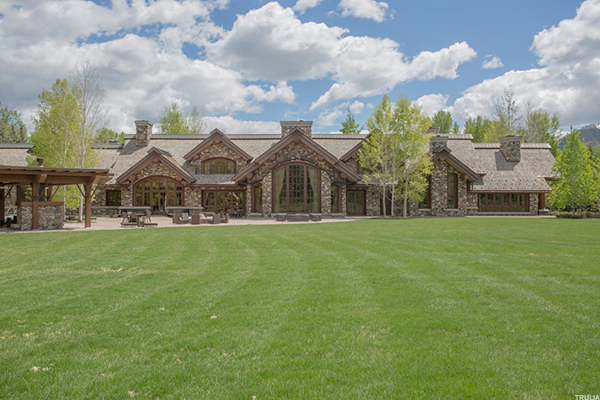 This $55 million mansion in Colorado is the apple of any dancer's dream. Built in 1993, it features a "historic dance hall on the property," along with three beds and three baths. 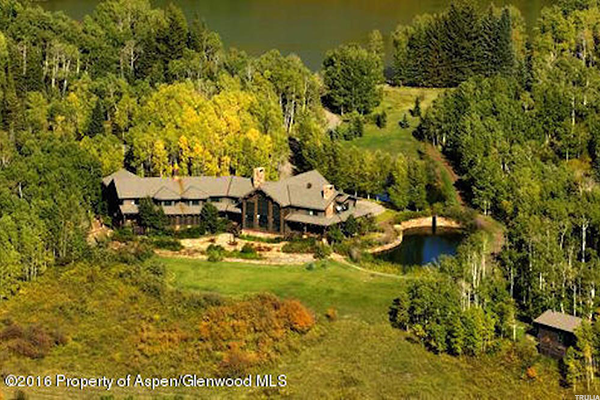 It has a 4,254 sq.-ft house on a massive 160 acre lot. At $48.9 million, this 27,092 square foot home is Texas's most expensive property for sale. Affectionately known as Walnut Place, the 25-acre estate has 12 full bathrooms and 5 partial ones. On the grounds are the main estate house, a recreational center, a guest house and the original family house and apartment. 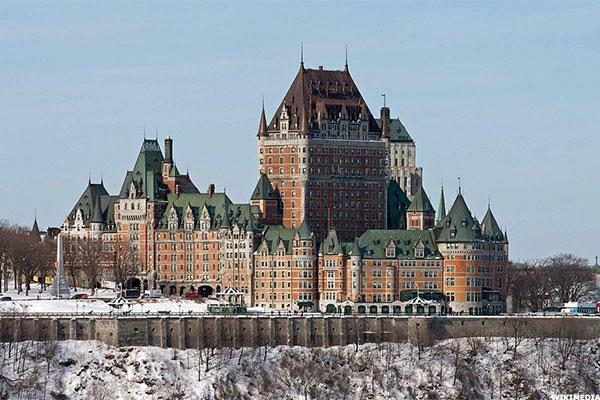 It was originally built in 1938 and renovated from 2000 to 2003. Built in 1995, Chestnut Hall will set you back a cool $48 million for this sprawling Atlanta estate. It sits on more than 18 acres and has a luxurious estate mansion, along with another four-bedroom home and a pool house. "The manicured grounds and gardens are dotted with European statuary, gates and stone driveways," the description reads. 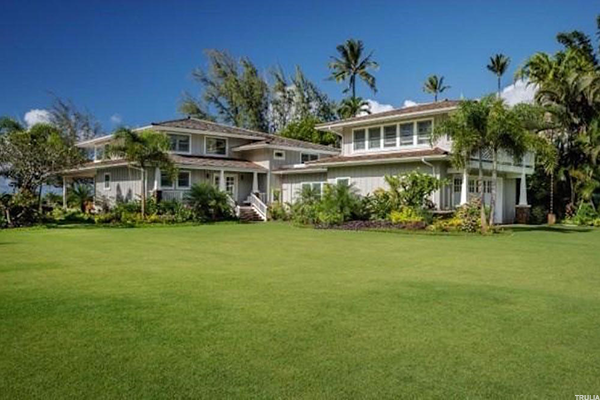 At $45 million, this Hawaiian estate comes with its own set of extravagances. Built in 2014, Oceanfront at Hanalei Bay has a five-bed, five-bath main house that is 4,650 square feet. It also includes 850 square feet of lanai (a porch or veranda). Just make sure you don't confused this with Hawaii's sixth largest island of the same name. The property also has a second beachfront home, a 850-sq.-ft. studio apartment, a pool cottage, a 75-foot pool and a full bathroom changing room. Located in Morristown, N.J., this $39 million palatial estate is New Jersey's most expensive home on the market and for good reason -- it's beautiful. 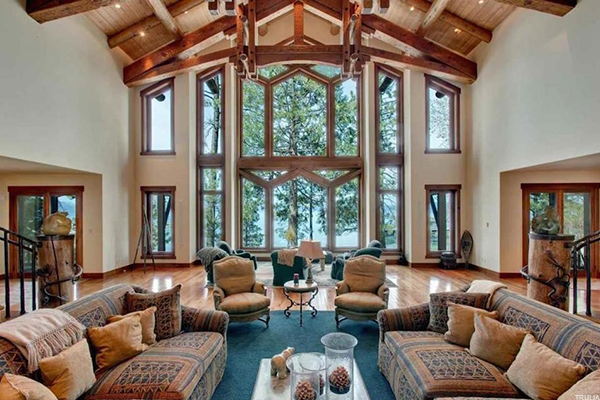 Built in 2005, it has 15 acres and sports 30,000 square foot worth of living space. It has six bedrooms, 12.5 baths and even comes with its own regulation tennis court. For $39 million, you'll also get a 80,000-gallon oval swimming pool, two spas with hot tubs, a pool house, three outdoor kitchens and a separate guest/staff carriage house. For $35 million, you sure can get a lot in Glennbrook, Nevada -- including your own three hole golf course with practice putting green. Built in 1998, this estate also includes nine full and two partial bathrooms, a swimming pool (and spa), boathouse, a shared pier and a wide sand beach. Living quarters include the main residence, guest house and a second guest house (for when one isn't enough). 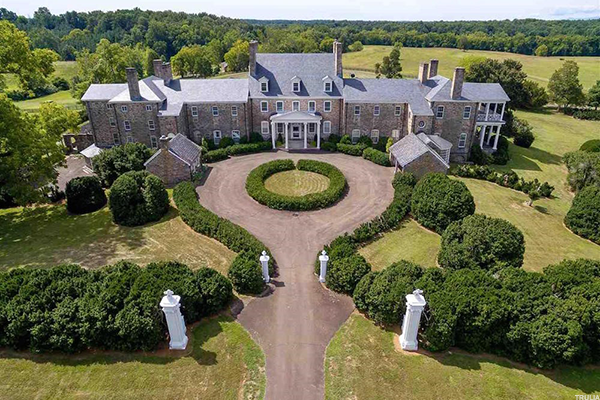 For $33 million, you can get 22 bedrooms in Warrenton, Va.-- plus a whole lot more. This luxurious estate comes with equestrian grounds, 16 bathrooms, and a home that was built around the time of the American revolution in 1776. Because of the age of the house, it's on the Historical Register. It sits on 1,471 acres and in additional to the main house, it includes a guesthouse, additional residences and a shooting preserve. 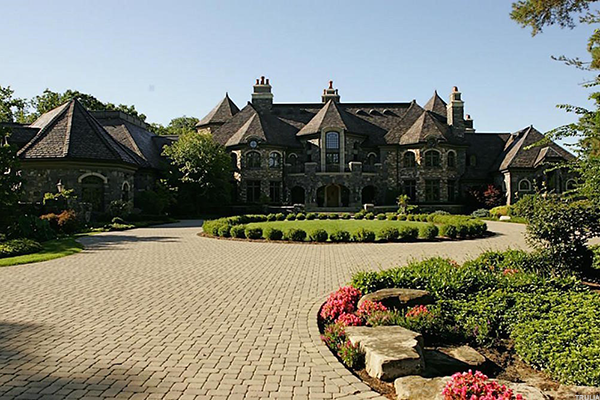 Built in 1997, Freeland Farms is a $30 million magnificent estate. It has two elevators and more than 50,000 square feet of construction. It includes a equestrian facility, landscaping, gardens and its own lake. In addition to the main home, it also has three additional houses on the property. 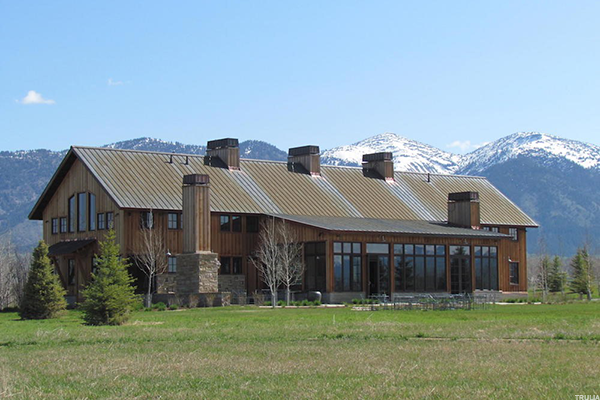 Down from $33.9 million to $29.9 million, the Cakebread Ranch in Jackson, Wyoming is situated on 300 acres with breathtaking views. The main residence has more than 6,000 square feet and includes "one-of-a-kind European appointments," as well as marble accents and hickory floors. There are also trails and places to go cross-country skiing, along with the ability to run a horse or cattle operation. Located in Sun Valley, home to the famous Allen & Co. conference, this $25 million estate sits on 12 acres and has a gorgeous view. Built into 1997, it's 15,000 square feet and has six bathrooms to go along with its log and stone exterior. The property also includes two undeveloped lots, so you can build to your heart's content. Originally listed at $25 million, this Massachusetts home will set you back just under $20 million and it's worth every penny. Built in 2010, this property sits on 1.9 acres and sports "one of the most spectacular properties on the Cape Cod shoreline." It has almost 11,000 square feet of living space, including six bedrooms. It also has an 11-seat theater, a wine cave and a carriage house for guests or staff.